I succumbed. 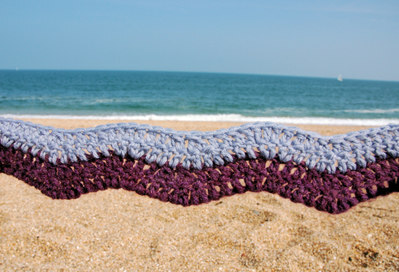 I was going to start my own crocheted ripple blanket when I finished my granny blanket, but I was in need of a lift and a change so I started it over the weekend. 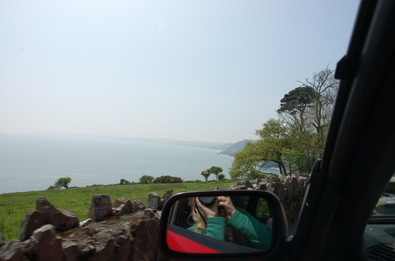 Anth and I had another day out, this time to Slapton Sands. 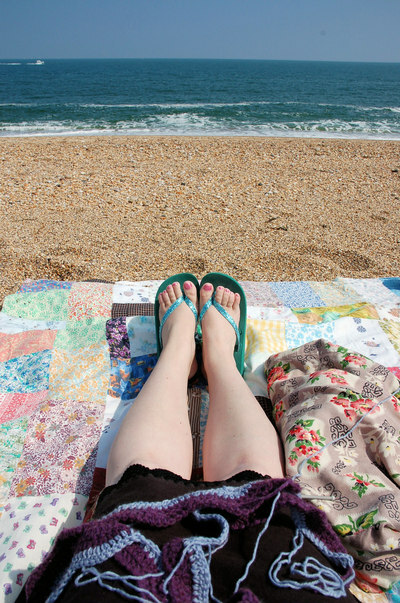 I sat in perfect harmony with the sea as I rode up and down each wave of my new blanket. 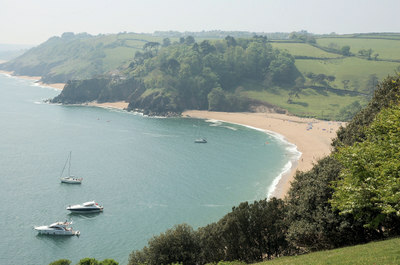 Slapton is a huge beach made up of tiny pebbles. As I sat rippling Anth read the paper. There was a fresh breeze blowing but that didn't stop the first seasons wearing of the flip-flops or revealing my pale English legs. 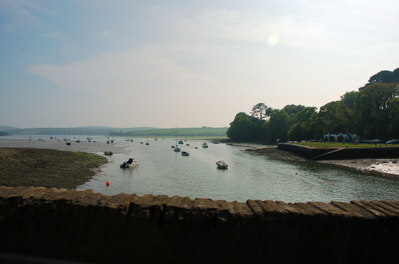 Our journey to Slapton took us through some of the best places Devon has to offer. It was all pale blue skies and the freshest green. 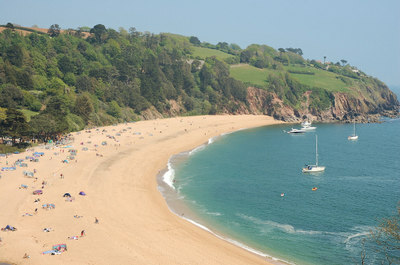 The beach above is one of South Devon's finest, Blackpool Sands. Poor Anth kept having to stop the car for my photos. for more rippling and gazing at the TV!